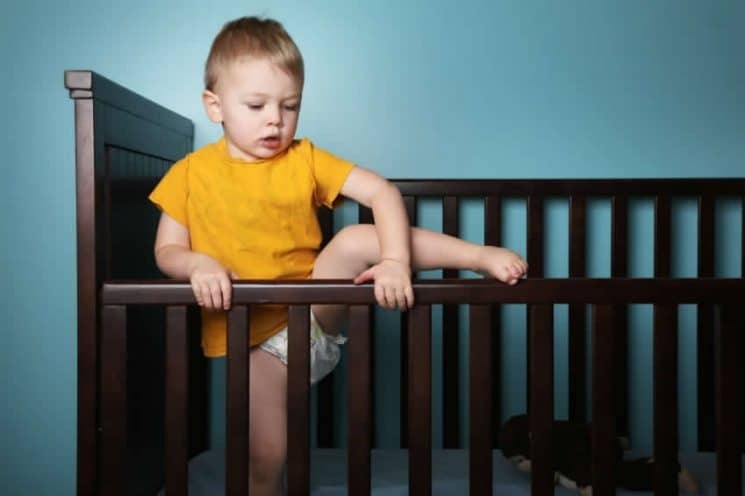 If you have a little monkey who can effortlessly climb out of the crib you might be considering making the crib to bed transition. The move from crib to bed can be an exciting milestone for your little one. It’s important to do some planning regarding the transition to ensure your child continues to sleep well through the move. 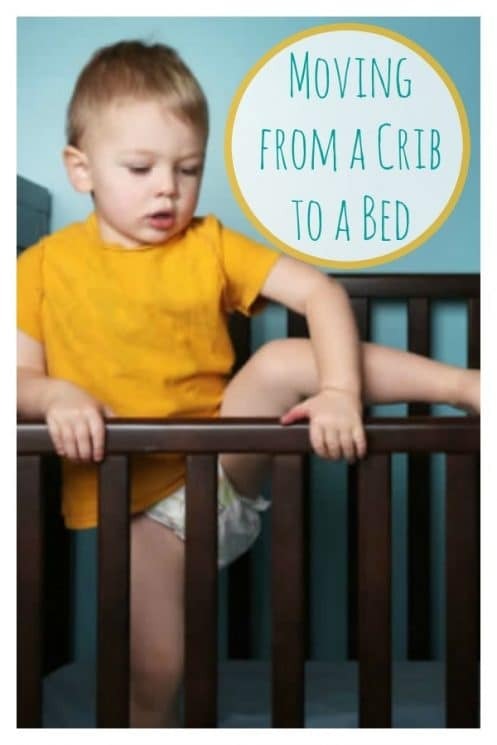 What can you do to extend the use of the crib? How can you make the transition from crib to bed go smoothly? What can you do if your little one keeps getting out of bed? My 19 month old daughter constantly climbing out of the crib. She wears a sleep sack at bedtime and nap time however it doesnt stop her at all. We silently put her back to bed, quite literally 10-15 times a night. We take shifts sitting out side her bedroom door. She is extremely tired, but extremely stubborn. We dont want to move her to a toddler bed as that won’t help the situation. This has been going on for about 3 months. Any other suggestions? We are exhausted/frustrated. I’m actually not sure on that one. Sorry!